Dream Quest One Poetry & Writing Contest mission is to inspire, motivate and encourage anyone having the desire or love of poetry and writing. It is a poetry and short story writing competition where a person can submit a poem or a short story or both written by him/her and stand a chance to win exciting prizes. This page only gives the information regarding the Dream Quest One Poetry & Writing Contest. Interested candidates can submit their entries both online as well as offline after making the payment of entry fee. The Competition happens twice in a year that is the Summer Contest and the Winter Contest. The Competition was started in the year 2005. Previously published poems and short stories in other contests, books, magazines, etc are accepted and welcomed as long as they are original works created by the contest entrant(s). All entries must be original works. Current and former employees of Dreamquestone.com or their relatives are not eligible. The rewards for the contests are divided as per the category of the contest. The participants should know that the prize will only be distributed among the top three winners. The distribution of the prize will be done as given in the table below. Works of first three winners in Dream quest one poetry and writing contest will be published on Dare to dream page of Dream quest one poetry and writing contest. The Entry may be written on the maximum of 5 pages, neatly handwritten or typed, single or double line spacing, on any subject or theme. All short stories may be on any subject or theme. For example, any fiction, non-fiction, essays, diary, journal entries and short screenplays are accepted. The Entry may be written on any subject or theme. All poems must be 30 lines or fewer and either neatly handwritten or typed, single or double line spacing. Fill out the entry form with your current and correct information. Included Poems and/or Short stories Contest entries must be neatly hand printed or legibly typed and submitted with poet's/writer's name, address, phone number, and email address (if applicable) in the upper left-hand corner of the entry. Entries submitted electronically must be sent as email attachments in a word processing document such as Microsoft Word (.doc) or (Docx), Word Perfect (.wpd) or Rich Text Format (.rtf), Open Document Format (.odt), etc. The entry fee of for each poem and for each short story submission will be entered. (Note: Electronic submissions require a two dollar ($2.00) transaction fee to be included with the entry fee). The participants need to make the payment by Paypal. You may use only one Entry Form for all entries. PayPal payment must be made before submitting all entries. These fees may be paid by mail or PayPal (Note: Electronic submissions require a two dollar ($2.00) transaction fee to be included with the entry fee). How to pay the Entry Fees for the Contest? Make personal checks, cashier's checks or money orders payable to "DREAMQUEST.COM". Cash payments are accepted but will be sent at your own risk. For Entries from outside the United States, entry fees must be submitted in US dollars. Foreign entrants are strongly urged to use international money orders rather than personal checks. Personal checks must be cleared-- entries will not be considered valid until they do. Dreamquestone.Com is not responsible for lost entries or payments. Entrants cannot send payment by mail and submit electronically. Either both payment and entry must be sent by mail or both must be sent electronically. Entries will not be returned. 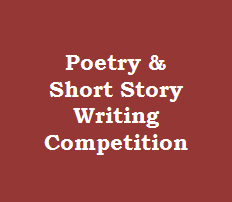 The contest poems or short stories entry must be on a separate page from the entry form information. Include payment for each poem along with a (SASE) Self Addressed Stamped Envelope for entry confirmation and notification. Include payment for each short story along with a (SASE) Self Addressed Stamped Envelope for entry confirmation and notification. Multiple and simultaneous poetry and writing contest entries are accepted. There are no limits to your entries. The information requested on the entry form may be either included in the typed Word processing document or typed into an email message body area. If included in the Word document, entry form information should be on the first page. Judges are members of Dream Quest One -Dare to Dream Master Selection Committee. All poems will be judged on the basis of originality, creativity, characterization, artistic quality, adherence to the 30 line limit, and the ability to dream. All short stories are judge based on originality, creative imagination, character introduction and development; plot development, adherence to the (5) page limit, and the ability to dream. All decisions of the judges are final. All the winners will be notified by postal mail or by telephone number.